See where the saga heads next in the latest entry. 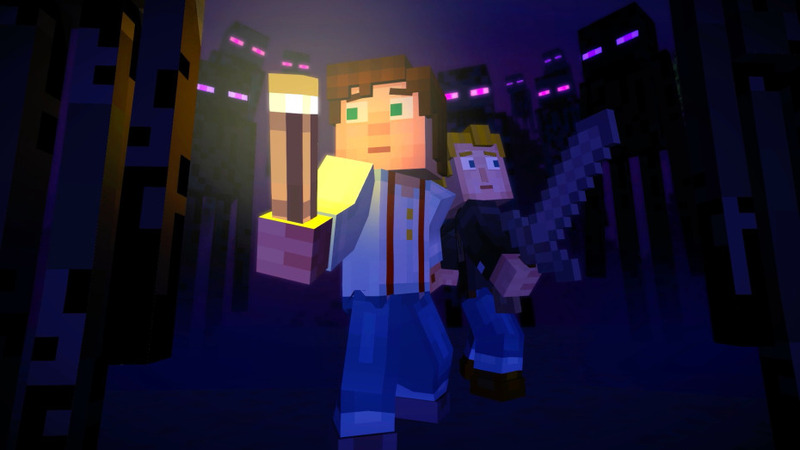 The latest entry in the Minecraftian saga of Minecraft Story Mode is finally out, and you can nab Episode 3 right now for $4.99. It's a worthy entry in the grander scheme of things, especially since the episodes have increased in entertainment value. While the first one was more worth your time than the second episode, however, they're still fun little stories to engage with. Right now, the game is available on iOS if you need something to play with while doing your yearly traveling for Thanksgiving this year, so I'd recommend downloading it before hopping the plane and settling in for some good old-fashioned adventuring. You never know what you might find. Diamonds. Diamonds would be nice, actually. That'd be great.